Parts of the robot are starting to join together. The front plate of the drive base arrived at the shop (albeit with some welding errors) and the roller intake was attached. After some testing, it works! The elevator still needs to finish their machining of parts. 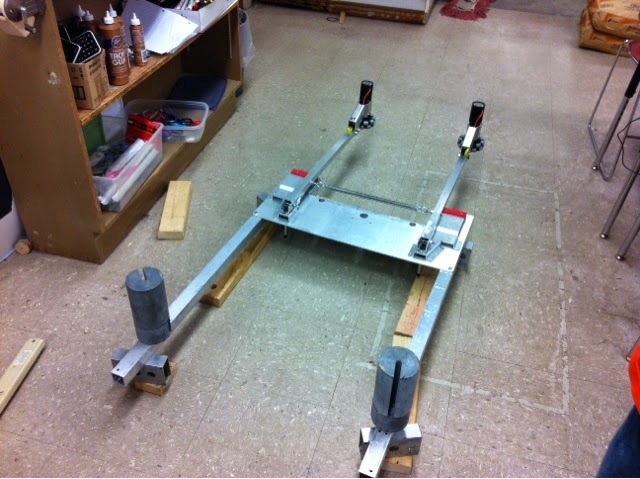 The gripper arm is coming together, the gear for the actuator is the wrong size , so we will fix that tomorrow. Finally, t-shirt design is finalized (pictures if it will come tomorrow.